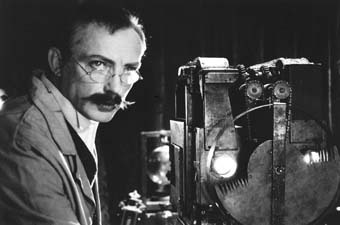 This film by Wim Wenders and students of the Munich Film Academy deals with the birth of cinema in Berlin, where the brothers Skladanowsky built a projector, the "Bioskop", at the same time as the Lumière Brothers in France and Edison in America, and thereby co-invented "moving pictures" in their very own, poetic, poor, endearing and rather "un-German" way. The film starts a hundred years ago and it ends today, with Max Skladanowsky's daughter Lucie who still remembers her dad and those early days of cinema very well. The film was shot mostly on an old hand-cranker from the twenties, silent, and in the best slapstick tradition.